Product #45939 | SKU S-77PORTRAIT | 0.0 (no ratings yet) Thanks for your rating! 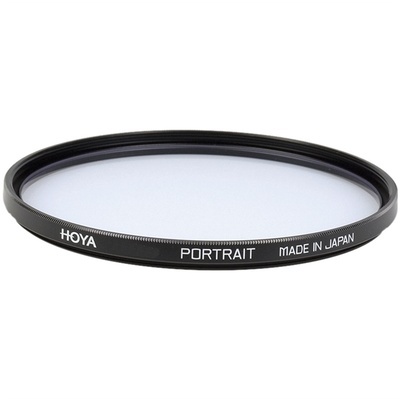 This 77 mm Portrait Glass Filter from Hoya is designed to enhance pink colours by reducing the yellow and orange colours and making neutral skin tones much more vivid. Combine with a UV filter when shooting under blue skies. The portrait filter has a filter factor of 1.15, so you should increase your exposure by 1/5 of a stop to compensate. Light transmission benefits from the filter's single coating on each side of the glass which reduces reflections off the surface of the filter. The ring is made of aluminium adding strength and protection to the lens while is screwed on. Box Dimensions (LxWxH) 4.2 x 3.6 x 0.6"